Do you want to build your brand awareness in the Bay area? Do you want to generate a response to a promotion or event? Do you want your customers to recognise your community links? 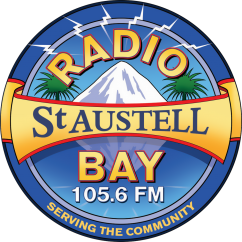 Talk to us at Radio St Austell Bay for a package to suit your needs. To keep things simple, we offer three advertising packages to suit every budget. Of course if you have a particular requirement, just contact us and we can give you a quotation. A 30 second radio commercial, professionally produced to your specification. An example of your commercial will be sent to you for approval and amendment prior to commercials going to air. Periodic refresh of your commercial (if required). Packages must be paid for quarterly in advance. * Saturdays are currently from 10am – 7pm. **Overnight and Sunday airing of your commercial package will be free of charge until such time as presented shows are available. This free service is planned to be available from November 2012.